My daughter, like most little girls, is crazy about shoes. When I asked her yesterday what kind of craft she would like to do together she instantly replied "a shoe craft!!!" Well after some extensive google image searching and pinterest browsing I couldn't find one single kids shoe craft!! So I decided it was about due time someone put one out there. We created our own template, pulled out a bag of shiny and sparkly gemstones and tadda - a beautiful glass slipper encrusted with jewels, fit for a princess!! 1. Print out our template and cut out glass slipper shape. 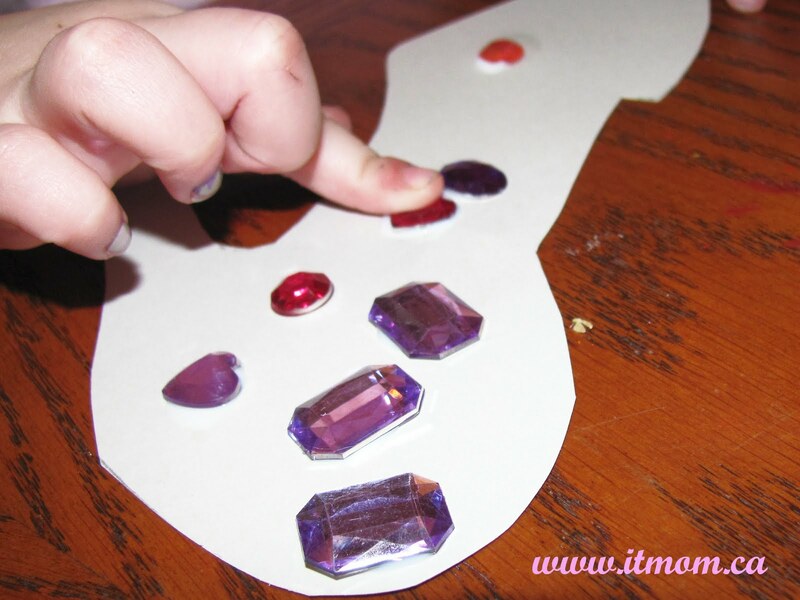 Trace the template onto cardstock to create a sturdy base. 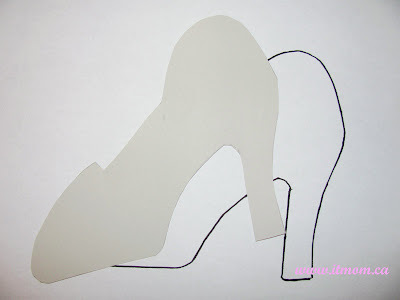 Cut out your glass slipper. 2. 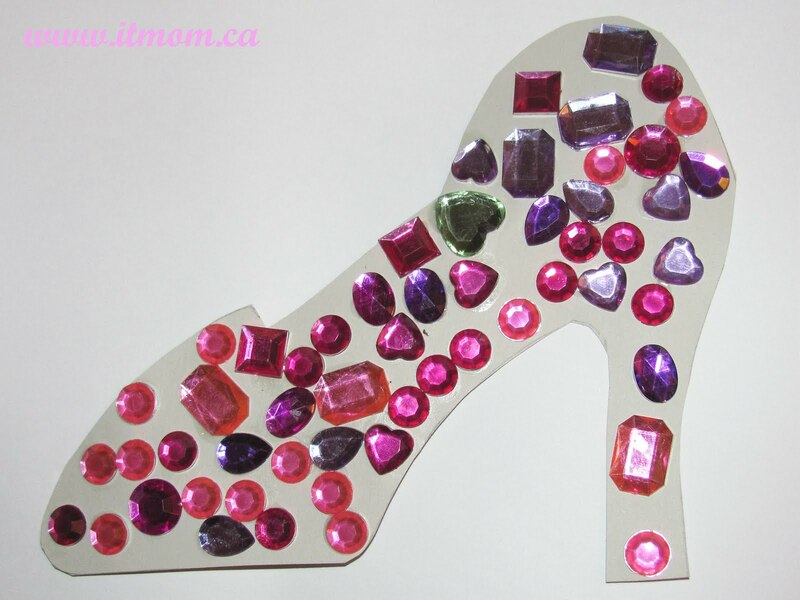 Let your little one go wild decorating the shoe with as many sparklies as she can handle. Oohhhh shiny!! Allow glue to dry thoroughly before handling. I have plans to frame up our finished show stopper in a shadow box for our little fashionistas bedroom. It'll make the perfect accent at her vanity table - something pretty and shiny to look at while she brushes her hair in the morning.